Giving children the opportunity to participate in free play has been shown to accelerate their development, helping them learn important new skills and widening their understanding of the world. For nurseries and EYFS providers, one way you can facilitate and encourage free play is to design your outdoor spaces in a way that motivates children to participate. 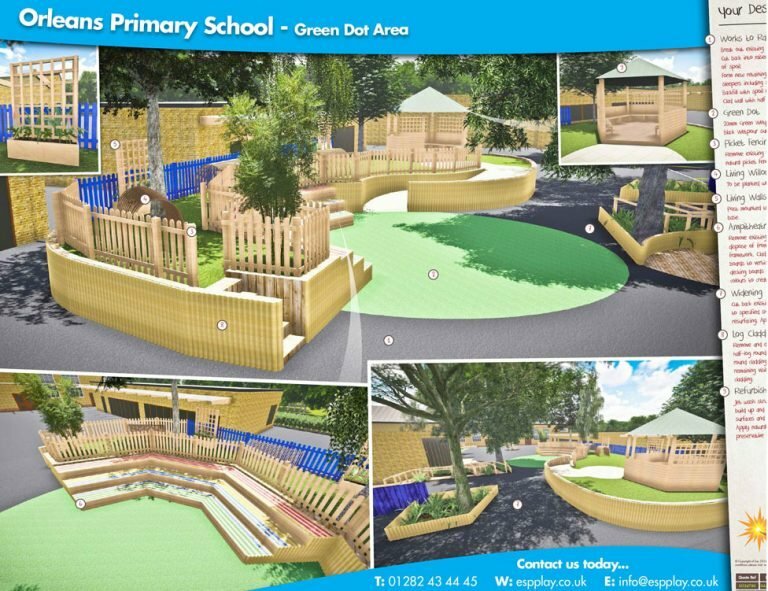 In this post, we’ll look at the best ways to design your EYFS playground. 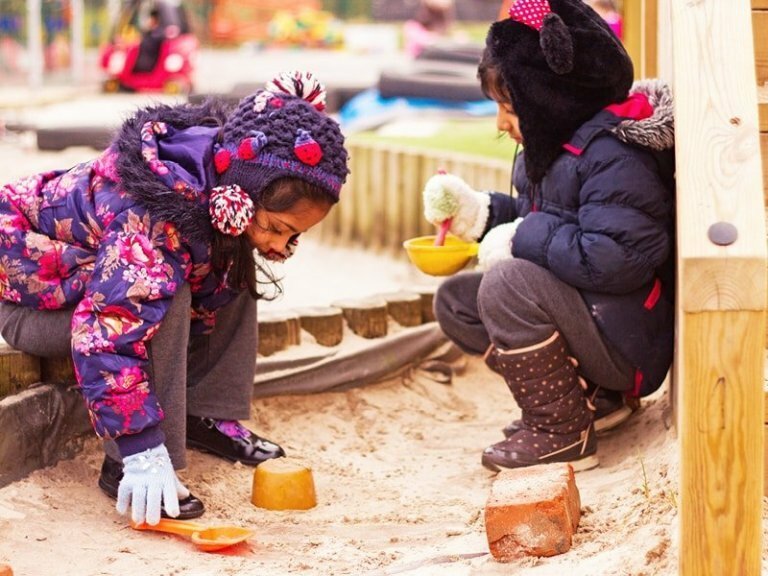 When creating your EYFS play area you’ll need to provide a variety of stimulating activities which cater for a range of needs and which offer children the opportunity to develop their cognitive, physical, social, and creative skills. The most successful way of achieving this is designing an outdoor space with different free play areas or zones. Designing in this way allows you to better manage the activities that take place in each zone. It also improves safety, as activities that can be hazardous when taking place in the same space can be kept apart. An additional benefit of a zoned playground is that adults need to intervene less, enabling the children to focus on the play that’s so important to their development. There is no set rule about the types of zones you should create in your playground. Indeed, your choices may be dependent on the children you cater for, the nature of the space you have available and your budget. Here, however, are some of the most popular EYFS zones we create for our customers. Physical activity encourages children to play together and thus creates opportunities to develop social skills. At the same time, the physical activity, in itself, helps to develop physical skills while improving fitness. 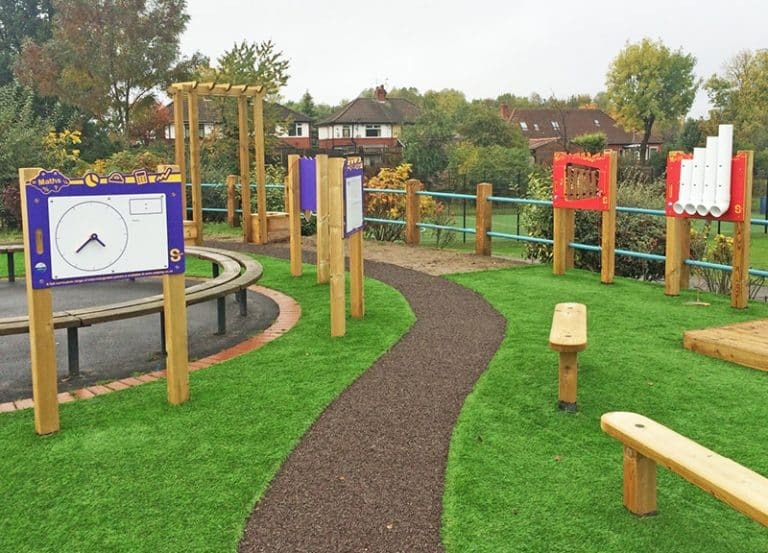 EYFS active play zones are often kitted out with popular pieces of equipment. These include play towers, especially those that have slides, climbing nets, ropes and bridges, and low-height, Trim Trail obstacle course equipment. These structures can be Interspersed with a range of fun playground markings, such as the mini roadway, which comes complete with road signs, roundabouts and zebra crossings. Developing children’s creativity is fundamental to bringing on their social and cognitive skills and this makes the creative zone a key part of the EYFS playground. 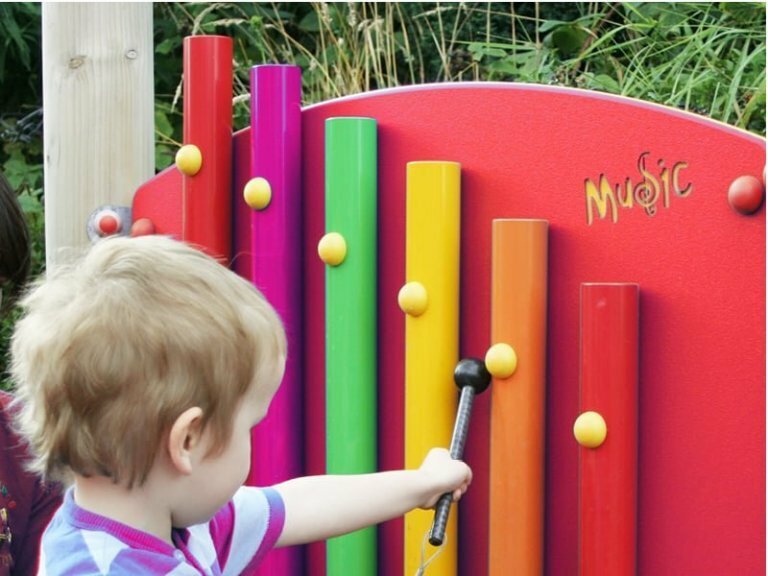 Schools and nurseries are spoiled for choice when it comes to choosing creative playground equipment. Designed to help children explore their imaginations in safe but unstructured ways, these include body-warping mirrors, log bridges and tunnels, play huts, shop kiosks, wigwams and wooden trains. Add a box of props and costumes and, suddenly, your playground can become anywhere their imagination takes them. For more artistic pursuits, there are also a range of painting, drawing and mark-making tables available, as well as stand up panels. One of the most popular creative pieces is the outdoor musical orchestra - composed of a range of fun to play on, no-skills-necessary, musical instruments. These include musical chimes, drainpipe drums, washboards and xylophones. Tactile materials such as sand, mud and water are ideal for children as they can be played with in so many different ways. From making sand castles and moats to baking mud pies, they are not only great fun, they also encourage kids to play together while letting children learn how these materials can be used, manipulated and combined. Water and sand play equipment lets you create the ultimate sensory play area for EYFS and with mud kitchens, splash pools and even magnetic water walls to choose from, there’s an opportunity to create one of the most popular zones in your playground. 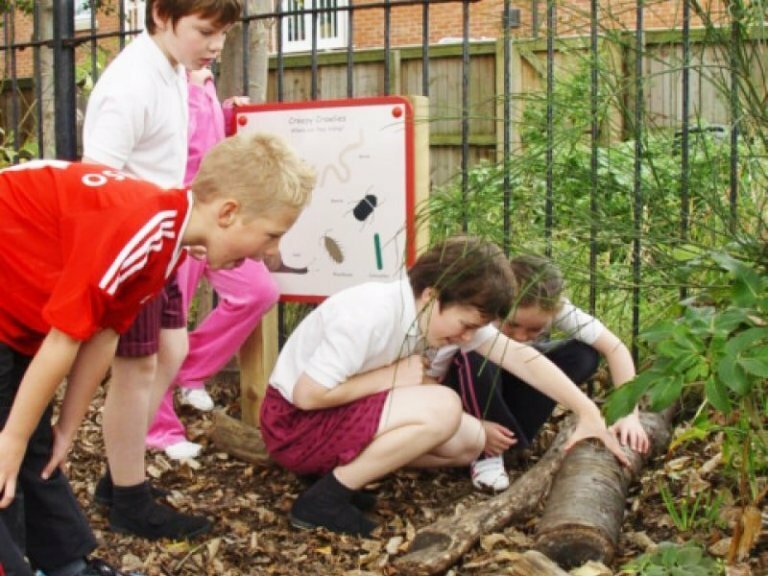 Putting a nature zone in your nursery or EYFS playground fulfils two important functions. Firstly, it creates a quiet space where children can be calm and relaxed and, secondly, it provides the opportunity for children to develop a love of and appreciation for nature. Quiet outdoor spaces can be beneficial for children who feel anxious or upset and need to get away from the busier areas. When this happens in a green space, that calming effect can be even better. Quiet spaces are also ideal places where the whole group can sit in the sunshine and listen to stories being read to them. A nature zone can be created through the purchase of wooden planters and trellises. These can be used to section off the space from the rest of the playground and can be filled with flowers, climbers and shrubs. You can then use butterfly boxes, insect habitats, ladybird towers and bird tables to encourage bugs and birds to visit – giving children access to their very own mini nature reserve. There’s a wide range of nature equipment you can use to make your nature zone enchanting for younger children. With little people doing so many different activities it’s important that you remember to include playground surfacing when creating your design. Sometimes, it’s a good idea to use different surfaces for each zone so that the children get the most benefit. A nature zone, for example, will want to be lawned, whereas an active play zone is perhaps best served by a cushioned, wetpour surface. With artificial grass, block paving, grass matting, resin bound gravel, rubber mulch and wetpour surfacing all available, there is a solution for every zone you may want. EYFS free play equipment enables every youngster to learn while they play. The most effective way to put it to good use is by creating a zoned playground where there are discrete areas for specific activities. This helps to keep children safe while providing the stimulus they need to participate and learn. For more information about our range of EYFS playground equipment, visit our products page or call us on 01282 43 44 45.